Are you in charge of helping out at your kids' Halloween party at school this October? Or perhaps you are throwing a party at your home, or want to get extra crafty and festive for the trick-or-treaters! 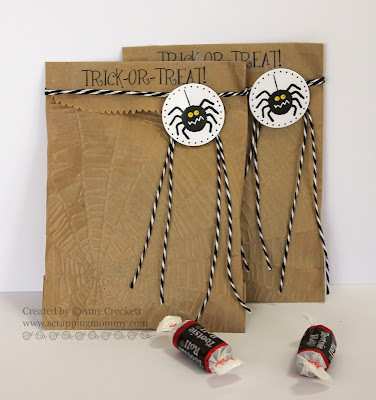 We love this idea found on the SRM Stickers Blog by Amy Crockett of the Scrapping Mommy. 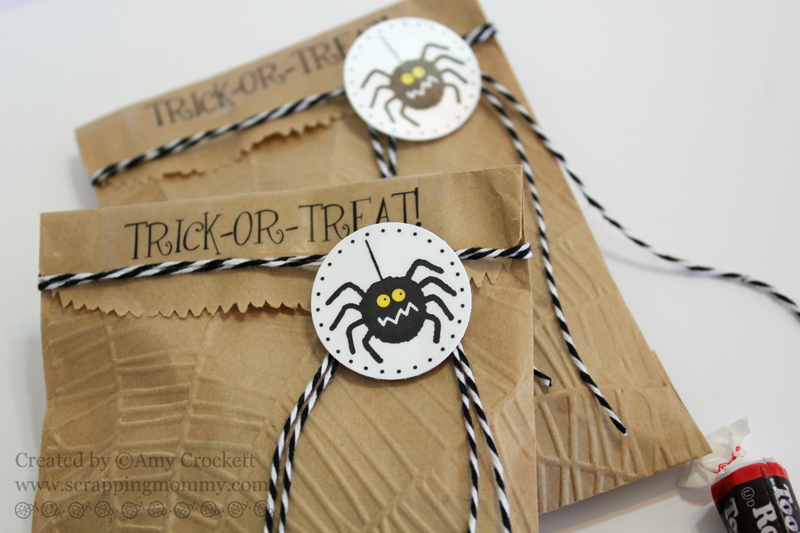 It's an extra special Halloween treat bag and we'll show you how simple it is to make here! As More Than Paper is rolling out a crafter's corner this fall, we are adding new products each week. 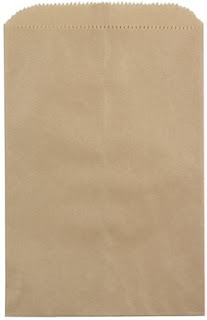 This week we added these fantastic Kraft Bags by SRM. Available in two different sizes (medium and large) and value priced, these make the perfect start to your decorated treat bags. Amy embossed her treat bags with a large spider web pattern. Amy has a Cuddlebug so this was easy for her! If you don't have a Cuddlebug, you can skip this step as the stickers, stamps and twine are enough to keep this bag super cute! We also have a great selection of other bags, some of which are pre-embossed. Check them out! Then she used a round tag and decorated it with SRM stickers. 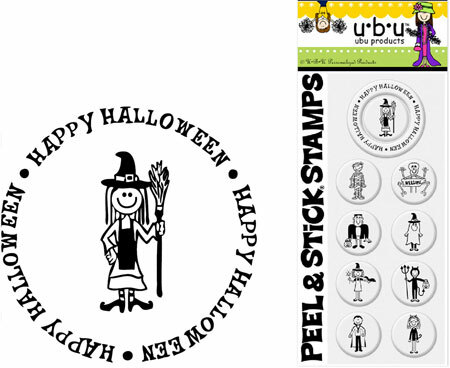 Alternatively, you could use Halloween stamps or U.B.U. Haunted Shack by PSA Essentials to decorate the tag. 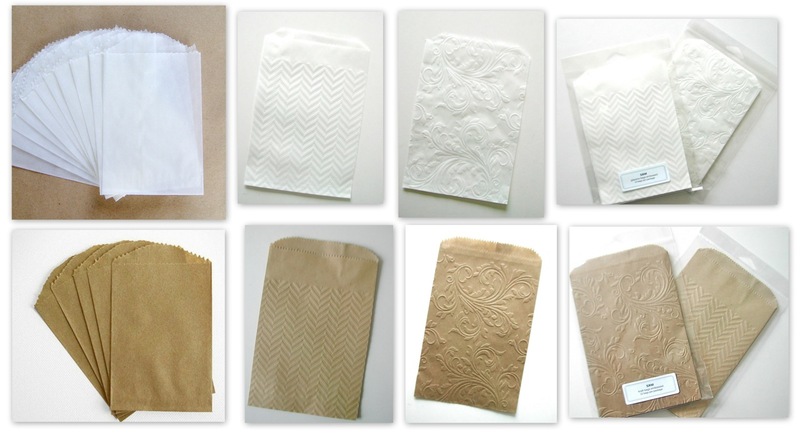 Stamp the character onto white paper, punch out and then adhere with craft glue or Zapdots to the kraft bag. Amy then added twine from The Twinery in Charcoal, now available at More Than Paper in our crafter's corner! Add your "TRICK OR TREAT" sticker by SRM, available here at More Than Paper. Now you are ready to rock with these adorable treat bags for the classroom, at your home party or to pass out at Halloween. Be sure to visit Amy Crocket at The Scrapping Mommy and tell her how much you love her adorable project, you can see more about this project here too!